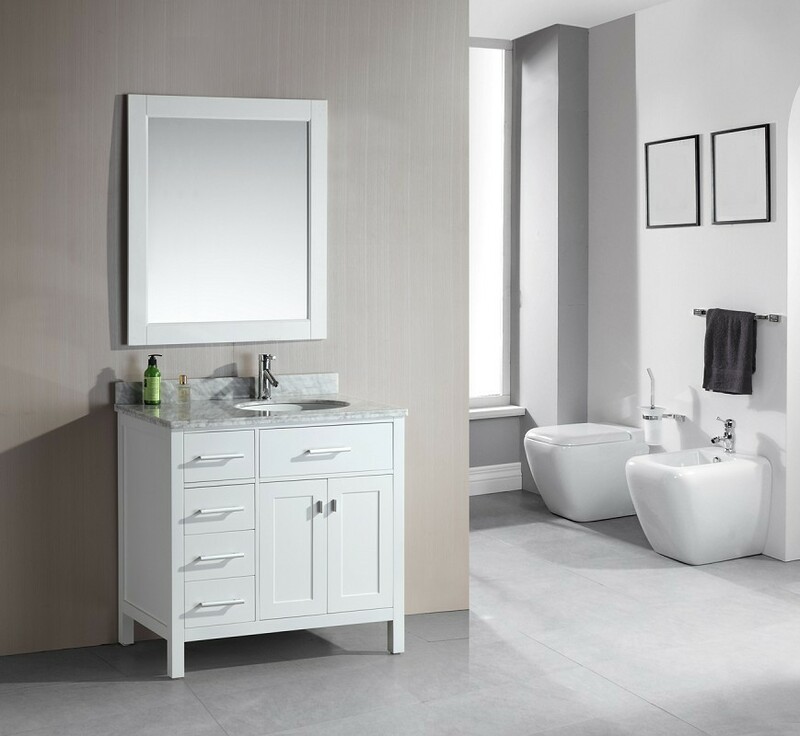 The London 36″ Single Sink Vanity Cabinet Set is constructed with quality woods and provides a contemporary design perfect for any bathroom remodel. 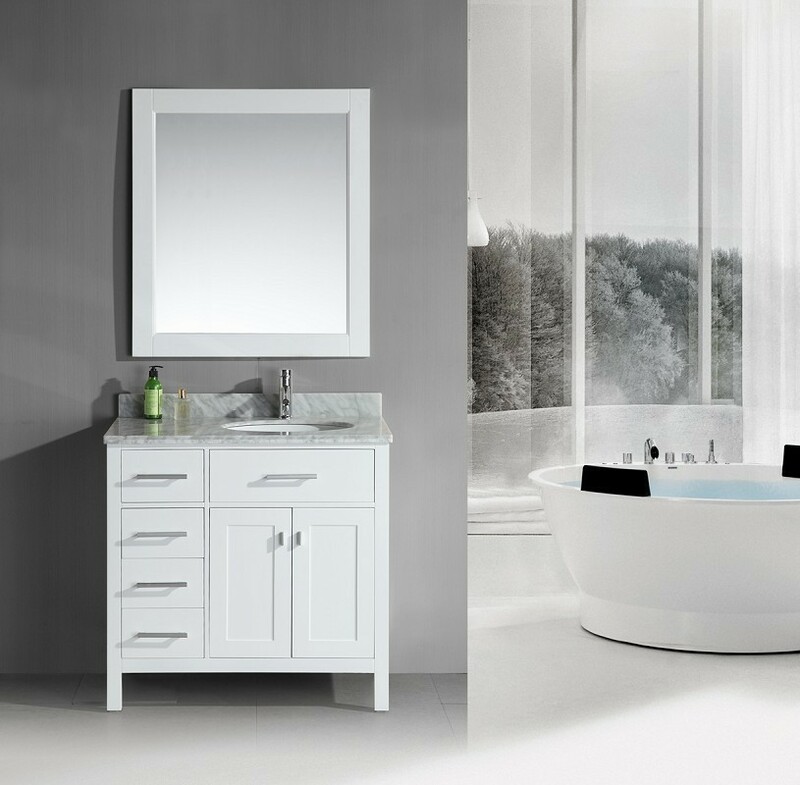 The ample storage in this free-standing vanity set includes one flip-down shelf, four fully functional drawers and one double door cabinet each accented with brushed nickel hardware. The cabinet itself is available in an espresso or white finish and the set is complete with a carrara white marble counter top and matching framed mirror.